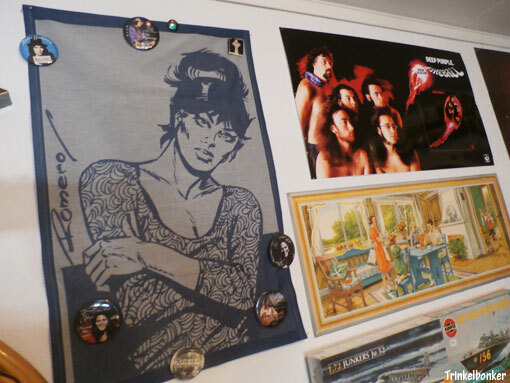 Located this wonderful Modesty Blaise cloth and figured it would look pretty good in the hobby room. 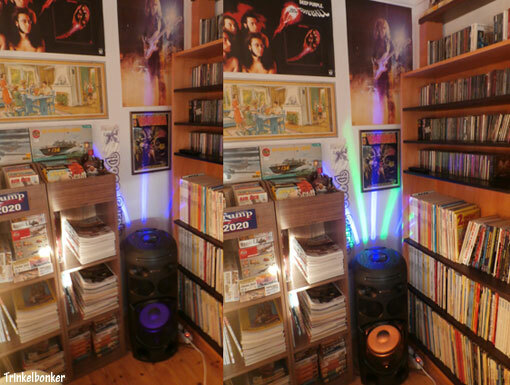 Added some classic badges (Tommy Bolin, Rainbow, Whitesnake & Black Sabbath) to it and it looks pretty OK I think. I am getting a lot of stuff done at the new place now. Looks like I might live there exclusively by April. 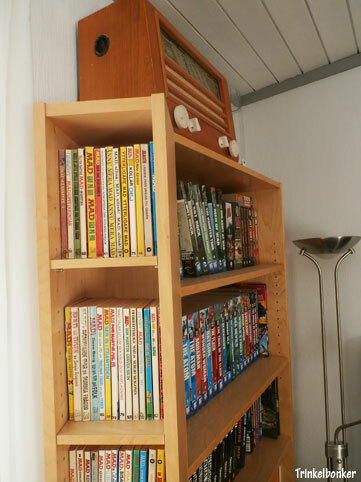 On September 5 2013 I blogged about me putting my old MAD pocket book collection in a box for the eventual move to the countryside some day, and now I am happy to report that they can now be found in a nice little corner in my new man cave. Feels good. 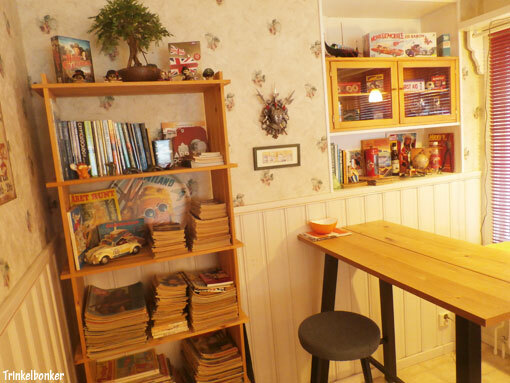 Behind them you can spot some classic Marvel and DC Comics stuff. 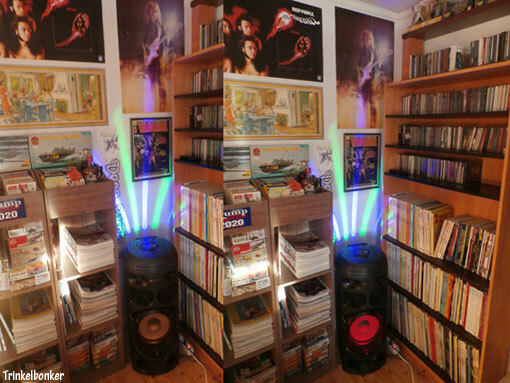 Having a bit of fun with the man cave updates and I can see in the stats that people enjoy this stuff. 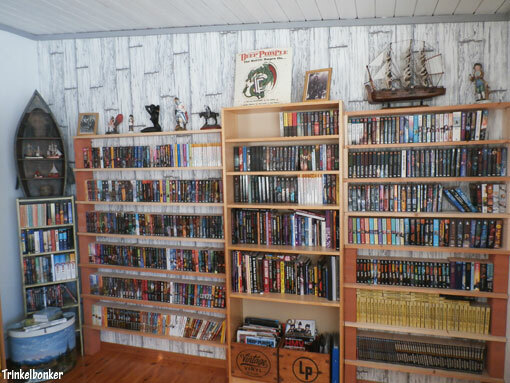 So today I will share some images of the upstairs library, kind of a general overview and how I made it look kind of cool. 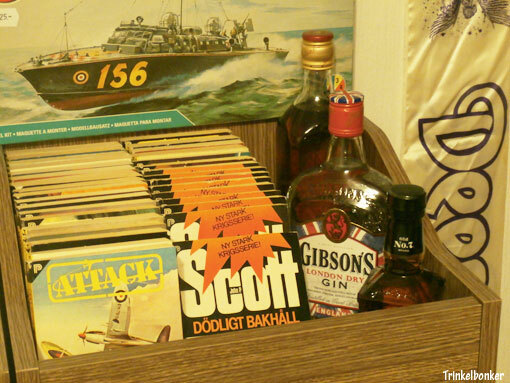 Well, it is a man cave after all. 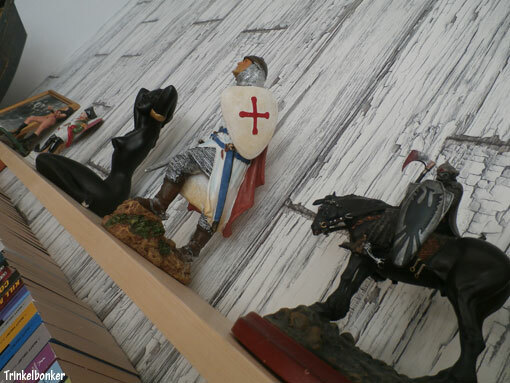 So let us take a look at this (sacred) corner in my new place shall we. I will begin with this general shot of this part, then close in on the cool stuff. So at the upper right corner we have this, a nice couple of items. 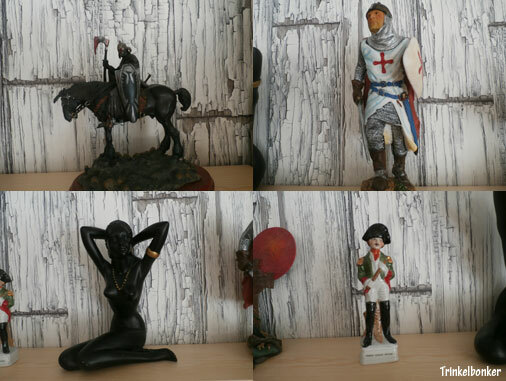 Note that the porcelain figurine on the right is holding a book. 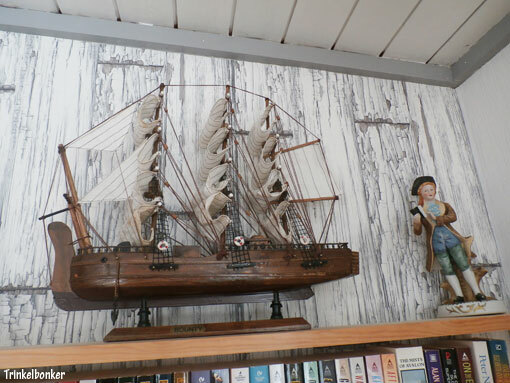 And I have always had a weak spot for model ships, so I grabbed me this one when I saw it a few years ago. 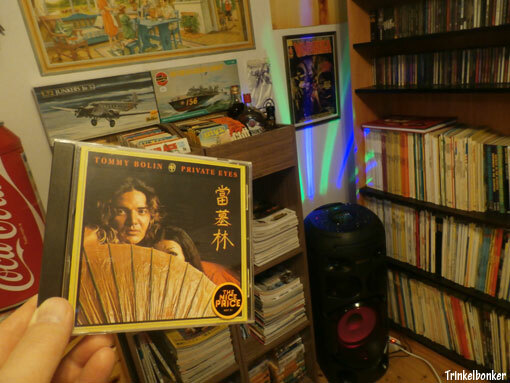 On the tallest shelf we have some Deep Purple related stuff. 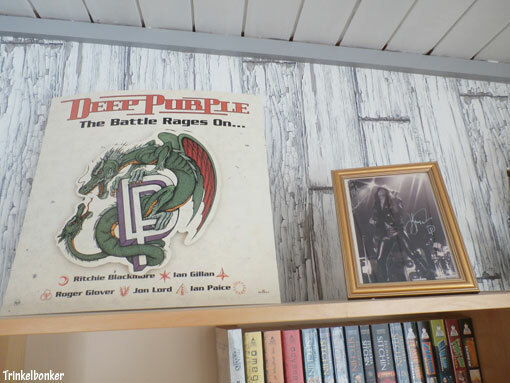 First a nice cardboard ad for the 1993 “The Battle Rages On” album, then a signed photograph of Joe Lynn Turner that I had framed (picture was shot in Stockholm back in 1991 by Dennis Karlsson). 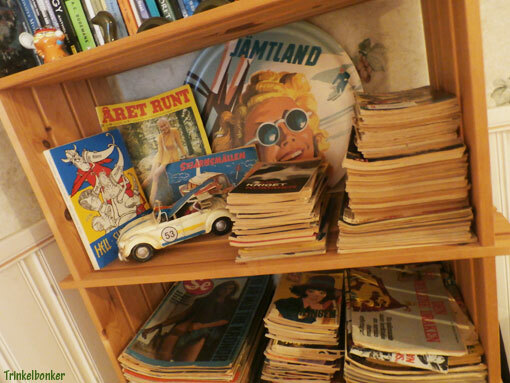 Then moving left we have some interesting – and wildly different – items from the old collection. 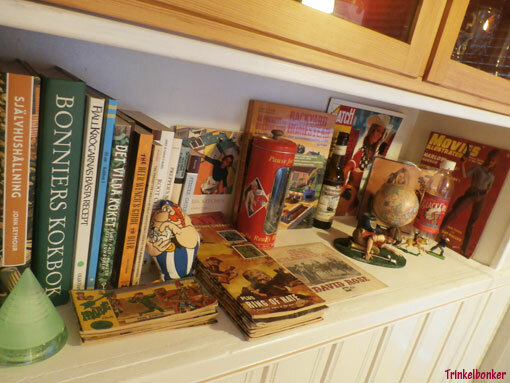 To the right we have a Frank Frazetta (limited edition) collectors item that has been made to look like one of his most famous artworks (also featured on the cover of the first Molly Hatchet album back in 1978). Spent a bit of money on that one, but it looks great. Here is a few shots of four very different works, but I like them all and I think it looks OK. This Vampirella figurine was added to the old collection about 20 years ago, had a bit of a Vampirella thing going then (collecting books etc). This framed photograph of mid nineties Rainbow popped up in the mail when I had the DEEP PURPLE FOREVER club going. 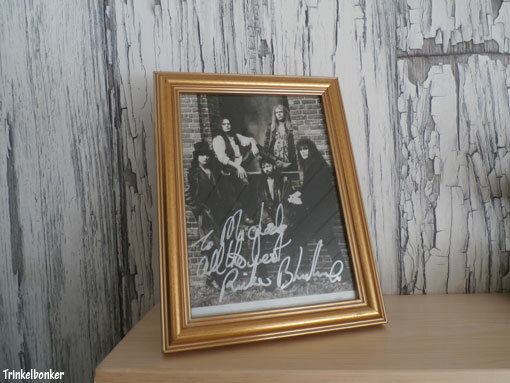 It has been signed by Ritchie Blackmore, which is kind of nice (had to frame it obviously!). 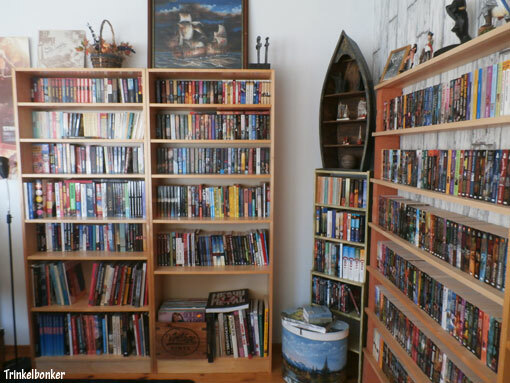 Then lets move to the two shelves you see here to the left (I will skip the small shelf in the corner for now). Viewed from the opposite side of this room, it all looks rather swell (I think). 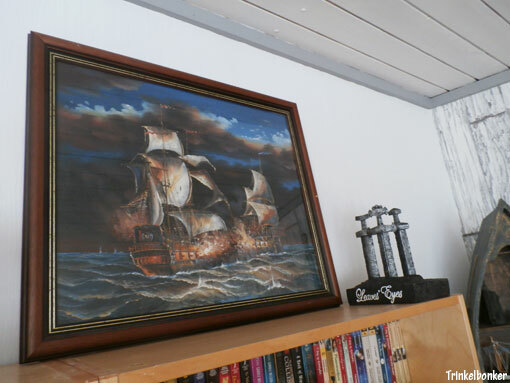 Bought this painting of two battling ships in a second hand store about 10 years ago. 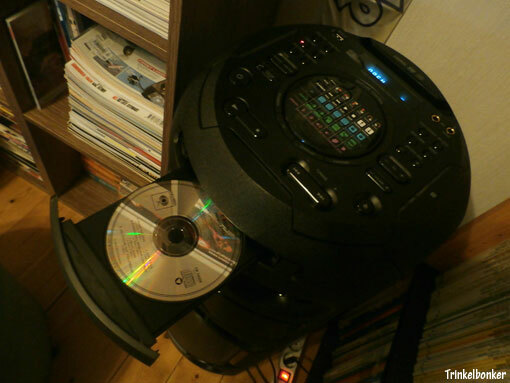 Now it sits well beside the Leaves´ Eyes limited edition collectors item that I got when I bought the 2009 “Njord” box. And finally, we have this. 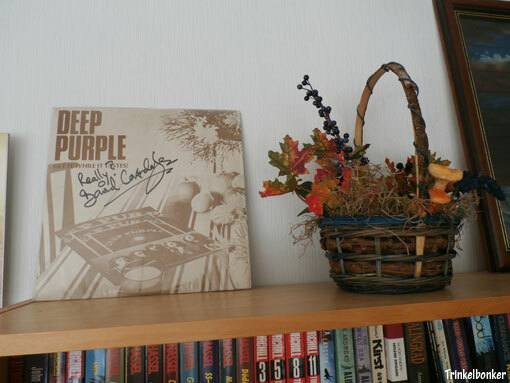 A classic Deep Purple bootleg (signed by David Coverdale in Stockholm 1981, I have blogged about this before). And what you see on the right is what it looks to be, and I like the look. So, that was fun. Thanks for watching.